We alumni, donors, parents, faculty, students, and concerned friends object to your decision to honor President Bill Clinton as LMU’s 2016 commencement speaker on May 7th. If you as President of LMU treated a 21 year old intern in your office as he did, you would be fired as president and never honored in any way at LMU. Why should the standards be lower for a President of the United States? If LMU cares about sexual harassment, it should not honor someone repeatedly and credibly accused of such activity. Moreover, it is inappropriate in an election year to honor the spouse of a leading candidate thereby politicizing an event that should be unifying. Finally, President Clinton’s steadfast support of abortion on demand, including even partial birth abortion, is incompatible with LMU’s Jesuit emphasis on social justice for all human beings. We protest your decision to give an honorary doctorate to President Clinton. To support this effort please sign below and circulate this petition. We also welcome you to include your own comment. Year of Graduation / Expected Year of Graduation from LMU, if applicable. Please Identify Your LMU Connection, (e.g. LMU alum, student, faculty, staff, parent, donor, supporter, concerned Catholic, etc.). By contrast, the U.S. Catholic Bishops teach, “Catholic institutions should not honor those who act in defiance of our fundamental moral principles. They should not be given awards, honors or platforms which would suggest support for their actions.” A politician’s extraordinary service does not constitute an exception to this principle, since any politician who is being considered for an honor presumably has exemplary service in at least some respects. Fr. Deck’s response to RenewLMU’s criticism attacks a straw man. No one thinks that to grant an honorary doctorate is to endorse all of a politician’s policies or to condone all the politician’s actions. Nor is the question whether the politician provided extraordinary service or attended a Jesuit university. 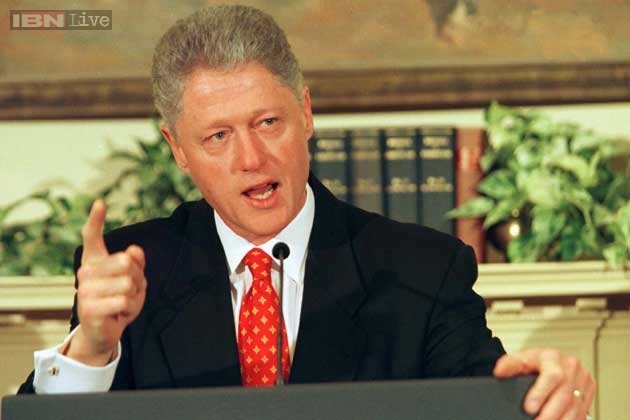 The question is whether President Clinton’s policies and actions violate fundamental Catholic moral principles about partial birth abortion, perjury, obstruction of justice, and sexual harassment in the workplace. The answer is obvious. This entry was posted in Action Item. Bookmark the permalink.